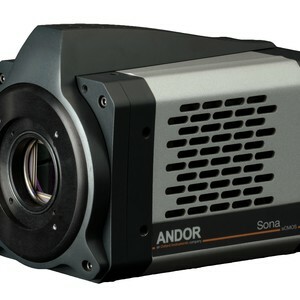 Andor Technology has released the ultrasensitive Sona back-illuminated camera for fluorescence microscopy. Featuring 95% quantum efficiency and vacuum cooling down to -45°C, Sona provides good sCMOS sensitivity, thus preserving living cells during extended measurement periods. It also enables the capture of large fields of cells or whole embryos with high clarity. Sona is suitable for quantitative measurement. Linearity of >99.7% ensures correct measurement in applications such as FRET, ion signalling and gene expression analysis. The Sona platform also has low fan vibration, meaning measurement precision will not be compromised in vibration-sensitive set-ups such as super-resolution and electrophysiology. 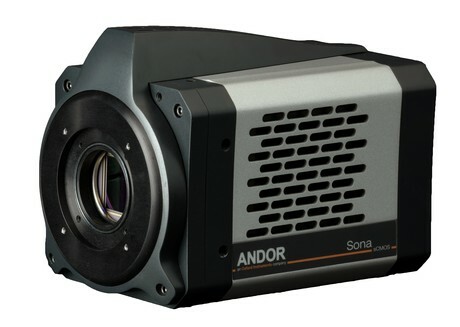 Sona is available in two formats, each with an 11 µm pixel size. The 4.2 MP Sona 4.2B-11 provides access to the entire 2048 x 2048 array, offering a 32 mm sensor diagonal, harnessing the entire field of view available from the microscope. This highly flexible model is readily adaptable to a range of objective lens magnifications, from 100x down to 40x. The Sona 2.0B-11 model features a 2 MP array that is sized to maximise the field of view available through modern 22 mm C-mount microscope ports. Preconfigured and easily accessible ROIs directly match to various smaller microscope port sizes, making the Sona 2.0B-11 usable across multiple set-ups and simplifying the process of selecting the right camera for the laboratory. 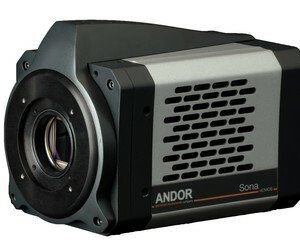 I am interested in Andor Technology ultrasensitive Sona back-illuminated camera .